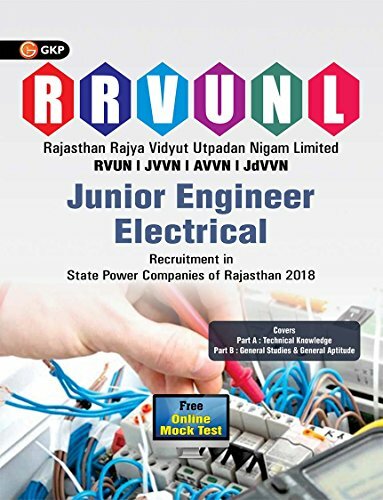 GKP’s RRVUNL Junior Engineers book for recruitment of Electrical Engineers is a valuable preparation resource for aspirants aiming for common recruitment in State Power Companies of Rajasthan conducted by Rajasthan Rajya Vidyut Utpadan Nigam Ltd. the book comprehensively covers the entire Syllabus and has been prepared by experts in accordance with the recommended Syllabus. The book will act as an indispensable resource for students. With time bound practice, comprehensive content coverage and numerous practice questions, aspirants will be able to crack the recruitment examination with flying colours. Buy the book Rajasthan (RVUNL) Junior Engineer Electrical from Ideakart.com.